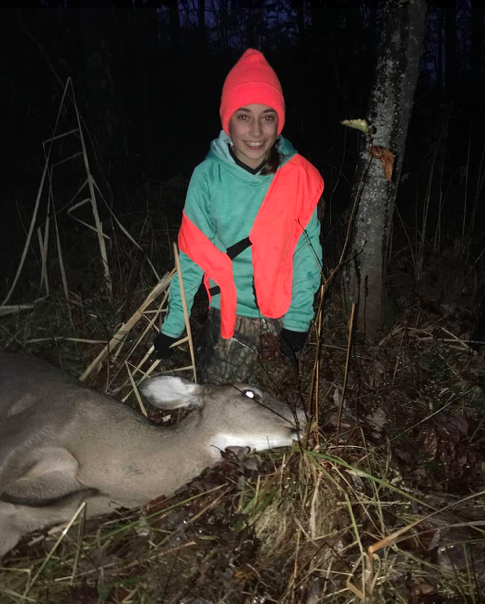 Maddy Goodwin, 10 years old of Wilton, shot her first deer on Nov. 1. The doe weighed 125lb and was shot in Jay. Maddy was with her Pep, Tim Perreault.